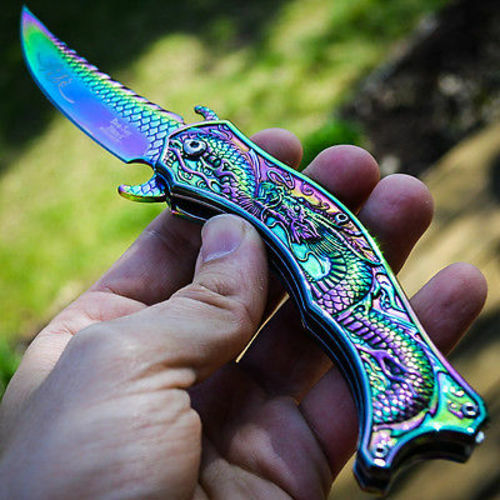 Iridescent Rainbow Flying Dragon Assisted Opening Folding Pocket Knife | BUDK.com - Knives & Swords At The Lowest Prices! You've never seen a flying dragon like this one before! 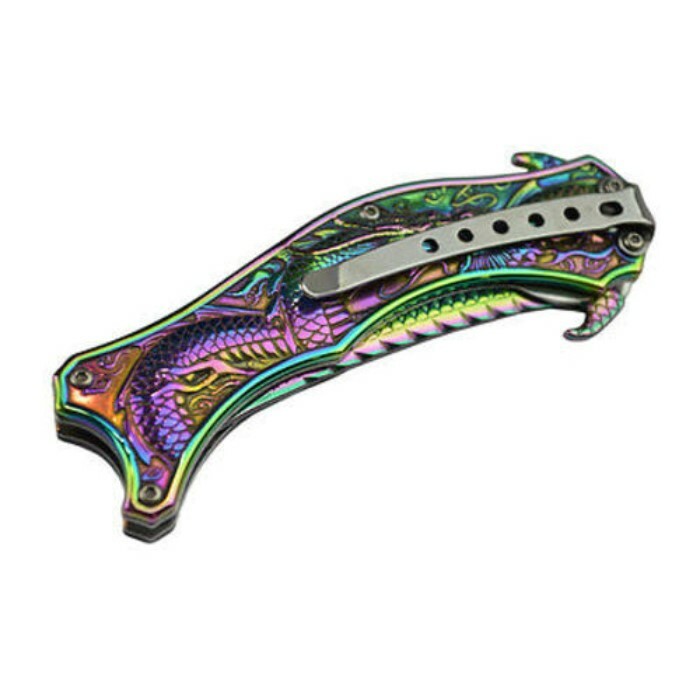 This Iridescent Rainbow Flying Dragon assisted-opening folding pocket knife is both stylish and functional with a high-impact design. 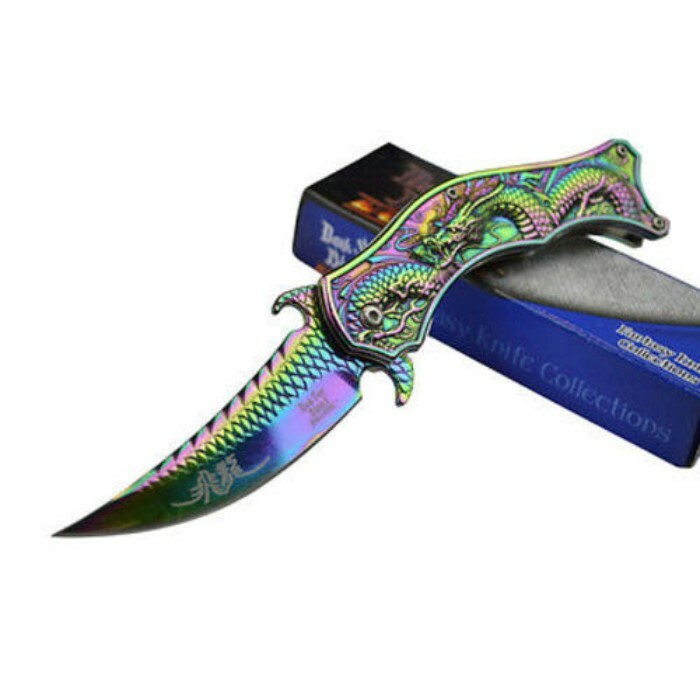 The dagger-like stainless steel blade has a sharp curved edge with a piercing point and stamped dragon scale pattern. The dragon theme continues onto the steel handle with a vivid flying dragon depiction. 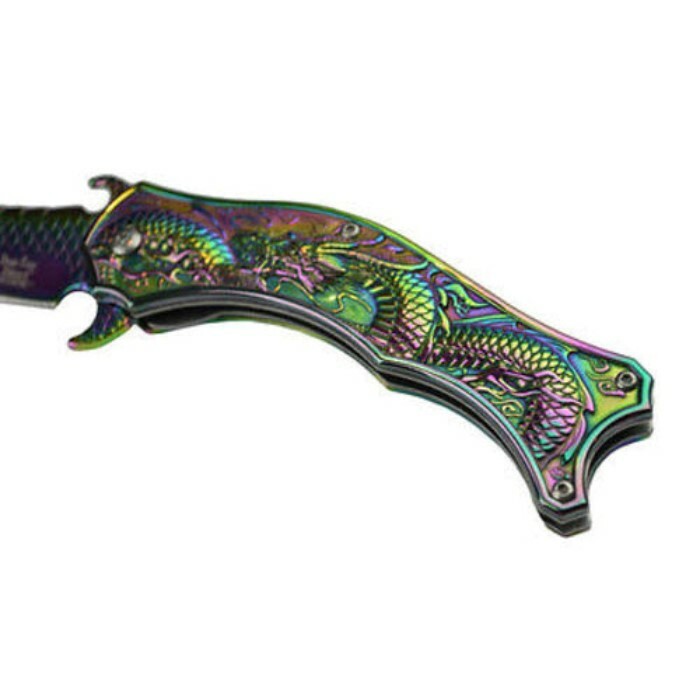 The best part is that the whole knife is covered from tip to tip in an iridescent rainbow titanium finish that makes it shimmer with an array of colors at every angle. Access the blade quickly with the built-in blade spur and assisted-opening mechanism. This knifed arrived three days from the order, it was perfect best knife ever money well spent. Another item mis-listed as Mtech. This is from Dark Side Blades. Arrived sharp but is kond of hard to open. Looks cool at a good price, though.